For nearly four decades, our goal has been to ensure the complete satisfaction of every customer, while offering knowledgeable and friendly service at affordable rates. We know that you have a choice when it comes to servicing your septic tank, and we appreciate your consideration. Our hope is that you'll feel confident in our ability to meet all of your expectations and know that our customers are always our main focus. Seattle & King County require all sellers of properties with onsite sewage systems (OSS) to have their onsite septic system inspected by a King County licensed On-Site System Maintainer (OSM). 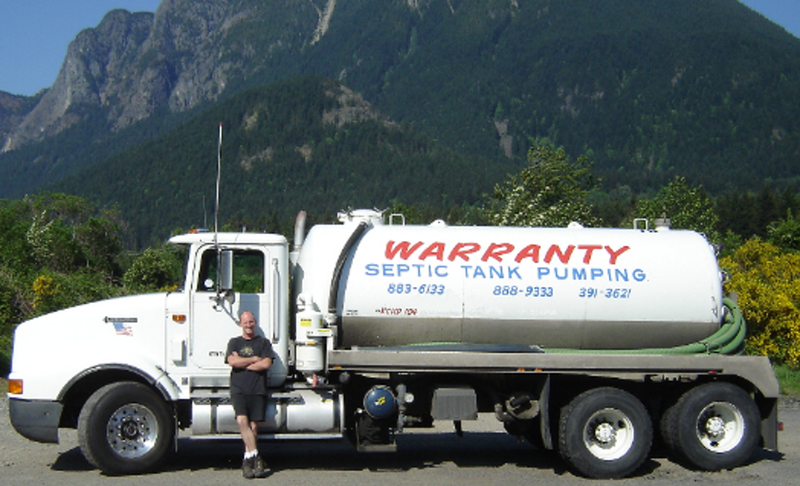 If you are selling a house that has an onsite septic system in King County, let Warranty Septic Pumping help you with the property transfer inspection report. Most homes in rural areas are serviced by a septic system rather than sewer. Septic systems are small, on-site wastewater treatment systems. They have an indefinite lifespan if they are properly maintained and cared for, and they don't require extensive up-keep. Maintaining your septic system is an ongoing process, like changing the oil in your car's engine. Let Warranty Septic Pumping help you maintain your onsite septic system.